New York City's Mayor-elect Bill de Blasio announced plans to immediately abolish the city's horse-drawn carriages, assuaging fears that the politician would renege on his election promise to end the practice. 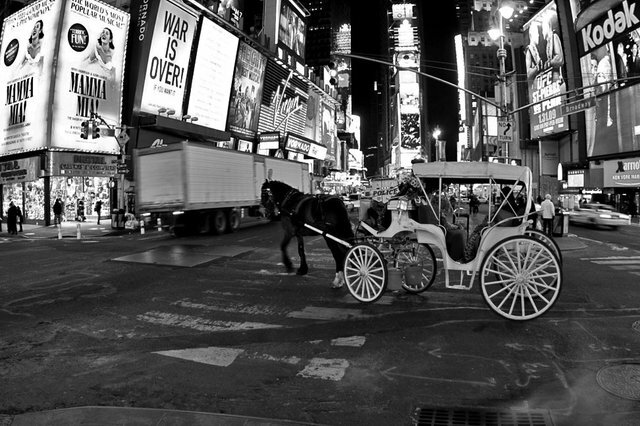 "We are going to get rid of the horse carriages. Period," de Blasio said at a press conference on Monday, according to the NY Daily News. "It's over." The move is in response to a long-fought campaign by activists to get the horses off the streets, after several injuries and claims that it's inhumane to force the animals to work on dangerous city streets.